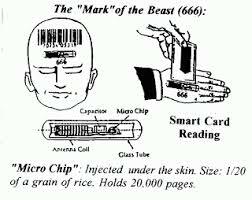 UPDATE: There's an updated tract: "Donald Trump Is The Antichrist" and a Spanish language version "Donald Trump Es El Anticristo! Ay Caramba!" is here. 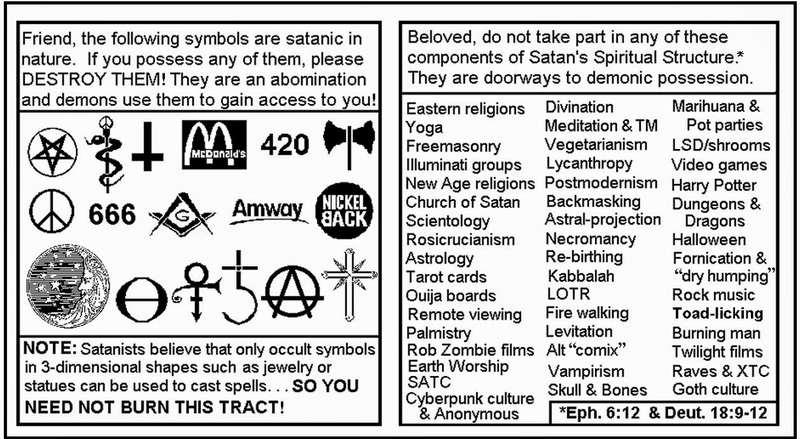 A few days ago, I did a post that was a hoax: it claimed that Jack Chick has a new anti-Trump tract. 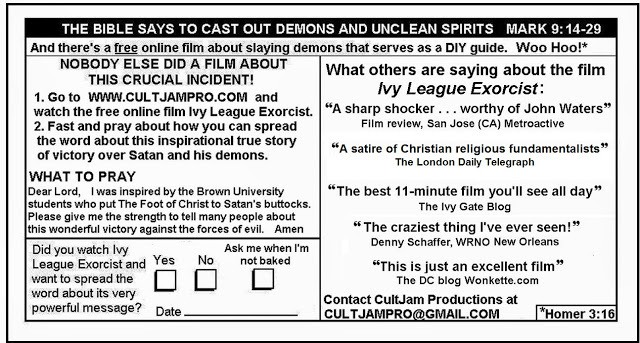 Actually, it's a CultJam Productions tract to promote our online short film Ivy League Exorcist:The Bobby Jindal Story. 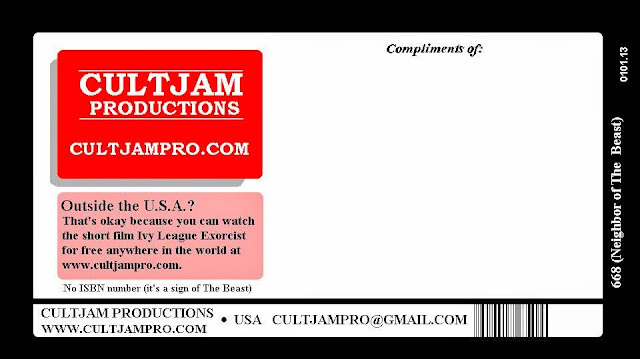 Our Chick tract parody "Ivy League Exorcist" is dated because Bobby dropped out of the 2016 presidential race. The tract notes the remarkable fact that two Republican presidential candidates have such close ties to exorcisms, a phenomenon that most rational people view as an archaic practice. Bobby Jindal is an actual exorcist while Marco Rubio makes sure to attend services at the Christ Fellowship megachurch if senior pastor Rick Blackwood, an exorcist, is preaching; in An American Son: A Memoir, Rubio writes: "On most Saturday nights, we still attend services at Christ Fellowship, especially if Pastor Rick [Blackwood] is preaching the sermon." 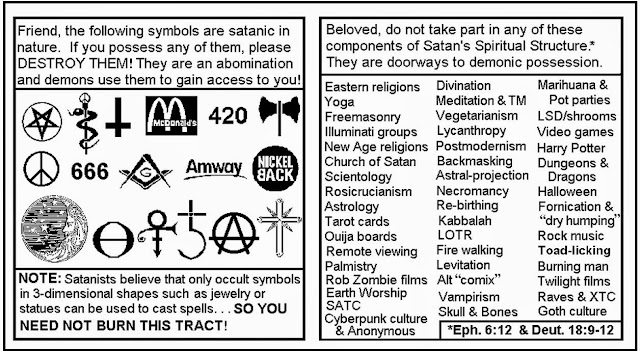 I have important notes, references, and links after the tract. Also, check out our other mini-comic "CockTale: A Modern Tijuana Bible," a satire that roasts Tom Cruise and Scientology.